DJ CHRIS EWEN & DJ XRIS SMack! 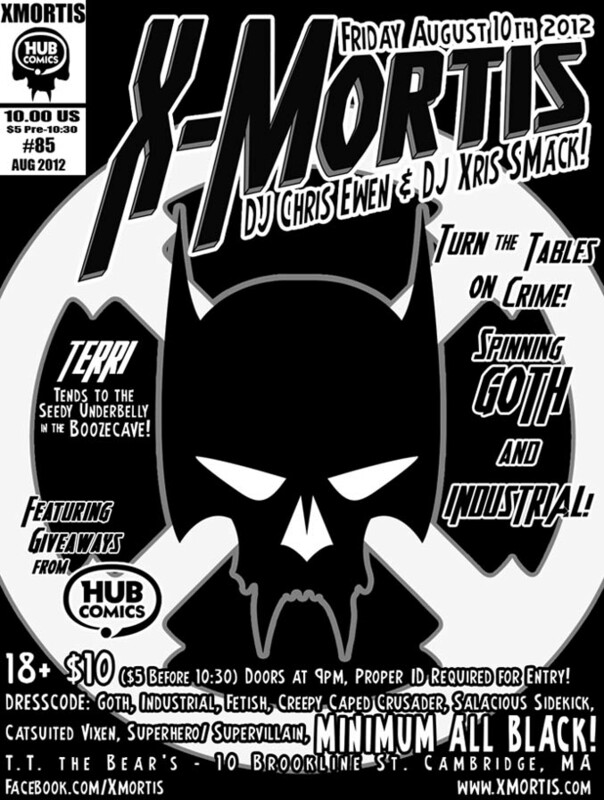 Turn the Tables on Crime spinning Goth and Industrial! Terri Tends to the Seedy Underbelly in the Boozecave! Dresscode: Goth, Fetish, Industrial, Creepy Caped Crusader, Salacious Sidekick, Catsuited Vixen, Superhero/Supervillain, Creative Attire Encouraged. MINIMUM ALL BLACK!